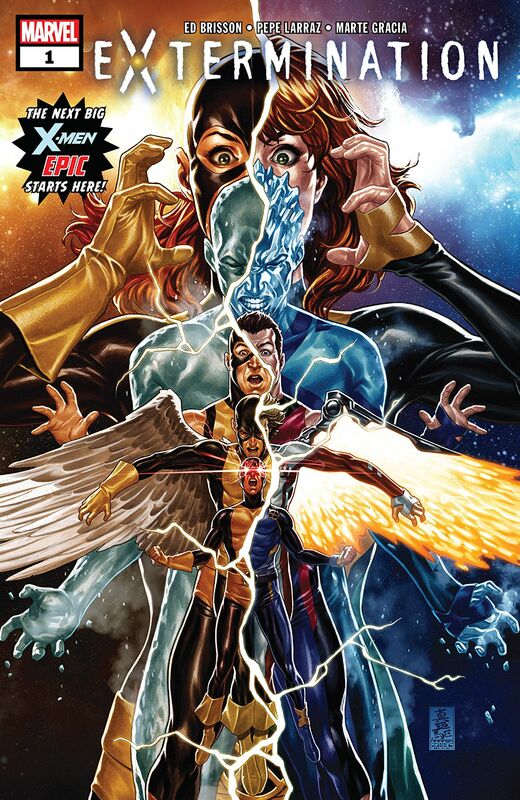 Posted on August 16, 2018 by thelostlighthouse	in Comics, Literature and tagged art, comic book review, comic books, Ed Brisson, eXtermination, Literature, Mark Brooks, Marte Gracia, Marvel, Marvel comics, Pepe Larraz, superhero comics, superheroes, TLL, VC's Joe Sabino, X-Men. The story begins in a post-apocalyptic city setting, mutant bodies lying about and a hooded figure swearing to clean up this mess who travels back in time to do so. The young X-Men pick up a couple of mutant children who are fleeing a mob of anti-mutant protestors. The X-Men comics have often been used as a metaphor for minority groups within the Marvel universe, this latest incarnation is a fairly clear one on immigration with cries of ‘they don’t even speak English’ when the mob realised they speak French. We are then bought into the current dynamics between the young X-Men team and have a little crash course on where the team is (some surprises to me, Storm seems a little more bitey than when I last saw her!) before all hell breaks loose. 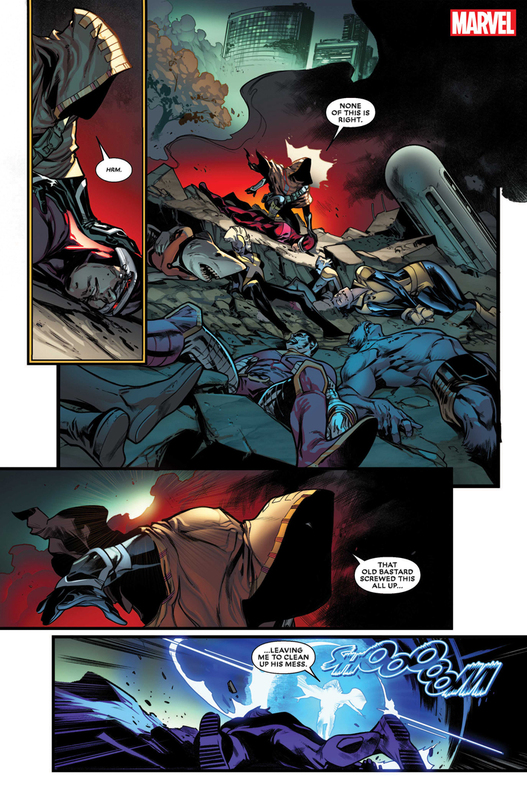 The hooded figure from the future appears to be chasing down X-Men and is set up to be the primary antagonist for at least the early part of the series. The art is full of deep colours with a vibrant feel, even during scenes of destruction. Gracia does an impressive job of adding colour in dark scenes which is often avoided. Larraz provides excellent detail in the characters themselves and their features, especially in smaller panels during conversation where expression is communicated very efficiently. Sabino does a solid job with the lettering, tucking them into tight panels weaving the reader’s eye through the pages and allowing the reader to appreciate the art. These are character I had a strong connection with while I grew up and it’s been too long since I’ve checked in on them and seen what they’re up to. I want to see where this story goes. I think my main concern as with so many of these dramatic sounding titles is nothing really changing. Characters may die, but they get better, a relationship may end though it’s either fixed or the characters bounce back immediately/carry on in a separate series. It’s well worth a look to X-Men fans though, especially if you’re more into the Evolution style X-Men and not their grown up, comic book counter parts. Posted on July 19, 2018 by thelostlighthouse	in Comics, Literature and tagged art, Captain Marvel, Carlos Pacheco, Carol Danvers, comic book review, comic books, Julian Totino Tedesco, Literature, Margaret Stohl, Marguerite Sauvage, Marvel, Marvel comics, Marvio Menyz, Rafael Fonteriz, superhero comics, superheroes, TLL, VC's Clayton Cowles.. It may not be out until next year, but I am very excited to see Captain Marvel when she’s released into the MCU. In the meantime Marvel are building up the hype for her character with a new short series exploring her origins. Not the alien experimentation/power obtaining origins though, her childhood, family life and what makes Carol Danvers Carol Danvers. Both the premise of this story, a more in depth analysis of a fascinating super hero, and the art style on the front cover (which I’m sure you’ll agree is excellent) drew me in to pick this up. The story begins with the Avengers doing their thing and knocking a few bad guys around. 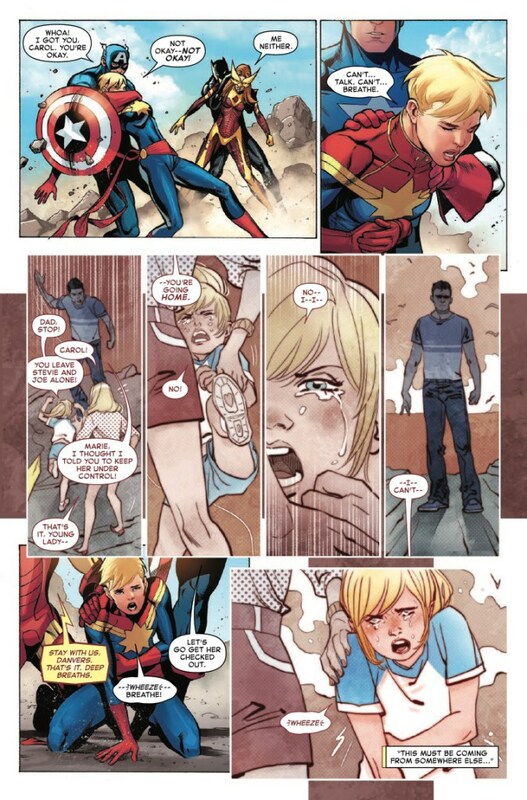 As the battle progresses though we see that Captain Marvel isn’t really battling her enemy but her own trauma. It’s father’s day and that’s brought with it a whole range of memories and challenges that Carol is doing her best to repress without much success. She decides she has to face her past and goes home to her family. While the battle is dynamic and very much a spectacle as always the real conflict in this story is a very personal one, providing insight into a hero that isn’t usually offered in mainstream comic books. 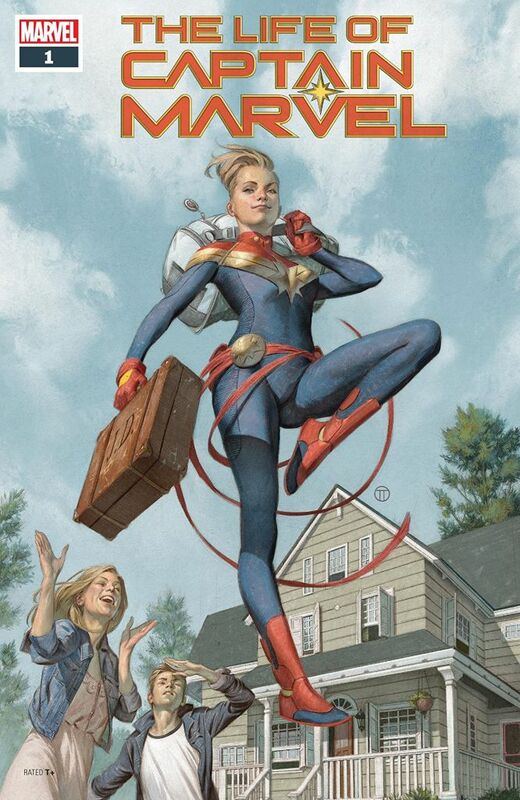 The series appears to be following two primary plot threads – Captain Marvel in the present reconnecting with her family and looking back on her upbringing and Carol as a child and revealing the challenges she faced and a family life that wasn’t as ideal as she pretends it was. Stohl’s characterisation of Carol is gripping and makes her feel very human. The art in this comic is fantastic. 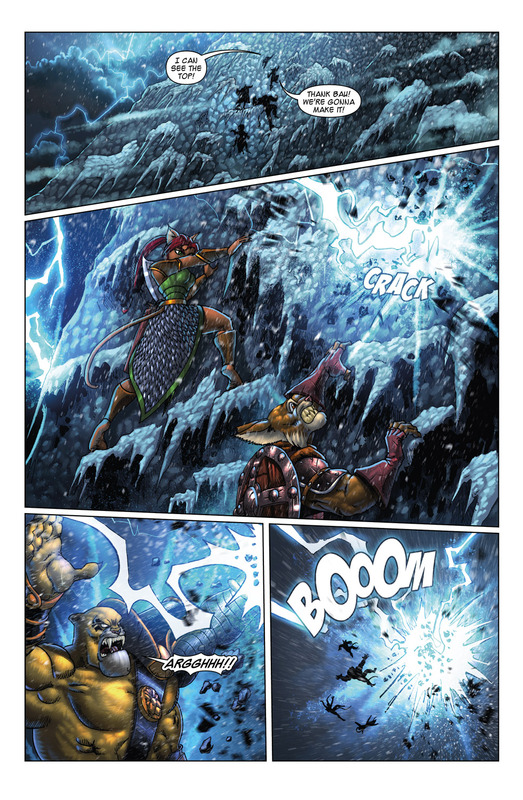 With two art teams there’s a risk the styles will clash or one will seem out of place, however both feel very realistic – in the modern day both Pacheco’s pencil work and Fonteriz’s ink work provide detailed and grounded feeling scenes while the colouring from Menyz is vibrant and brings the pages to life. However, the muted colour pallet adopted by Sauvage during the flashbacks makes them feel dream like or as memories are, something very separate to what is currently happening. For me, all of the art is of a very high calibre in this issue, both styles complimenting each other and suiting each other (young Carol in Sauvage’s work really looks like she’ll grow up to become Captain Marvel), however Sauvage really steals the show with outstanding work during the flashbacks. I’ve owned this comic for about 6 hours and read it twice. If you want a little more depth to your super heroes, especially if you want to get to know Captain Marvel better then you should absolutely pick this up. Posted on July 5, 2018 by thelostlighthouse	in Comics, Literature and tagged Al Ewing, art, Bruce Banner, comic book review, comic books, Hulk, Joe Bennett, Literature, Marvel, Marvel comics, Paul Mounts, Ruy Jose, superhero comics, superheroes, The Hulk, The Immortal Hulk, TLL, VC's Cory Petit, VC's Travis Lanham. The tone of this comic isn’t what I would have expected from a Hulk storyline. We’re presented with an internal horror tale, of a man trying to survive the beast that will come out at night, leave a trail of destruction, leave him with nothing only to start again the next evening. Banner is a man running from the inevitable desperately trying to do some kind of good with the beast inside him, while trying to keep under the radar. There’s a lot of internal monologue during the issue while we’re dealing with Banner and not big green. I really enjoyed this as it built the atmosphere, seeing his internal battle and getting to know the guy a lot better. Banner comes off as very human and as a man very much trying to do the right thing in very difficult circumstances. When the Hulk does rear his head he comes off as monstrous and scary more than anything else and this is something I very much enjoy. By his very design the Hulk is meant to be monstrous though, however this side of him seems to be even more emphasized in the way Bennett, Jose and Mounts have done the art. His stance is consistently unnatural and beast like and his piercing eyes seem to leap out of the page (very good work by Mounts for that!). 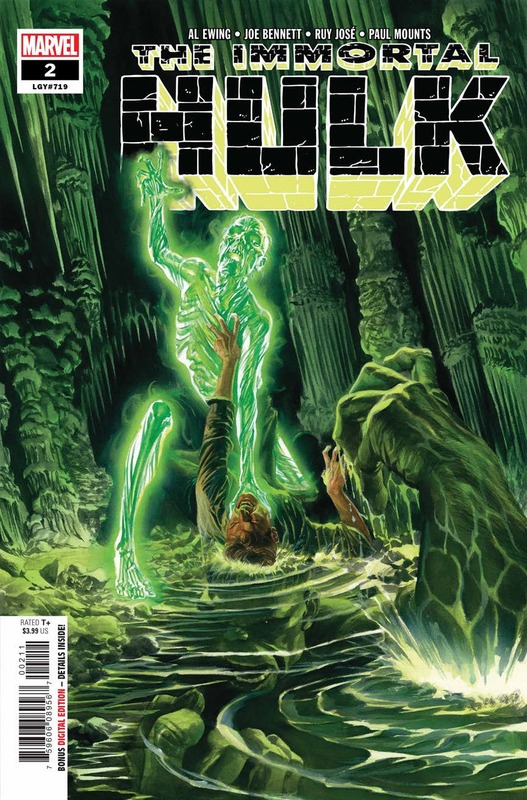 Hell, the villain of the issue spends much more time terrified of the Hulk than the Hulk is of it. Additionally with such a monologue-heavy issue, a high calibre of lettering was required. Petit and Lanham team up well to weave the reader’s eye through the pages and keep them engaged. I’m glad to have picked this story up, I’m a fan of horror and it’s a great way to get to know a character I’m a little unfamiliar with still. The villain of the issue feels like a bit of a throw away, and the way the antagonist is shaping up could either result in a very interesting reflection of the Hulk, or feel a bit like an unnecessary inclusion for the sake of it. That’s the thing though, the real antagonistic force in all this is Banner’s lack of control over his life and struggle to cope with the Hulk, coming out every night like clockwork and even death cannot stop it. 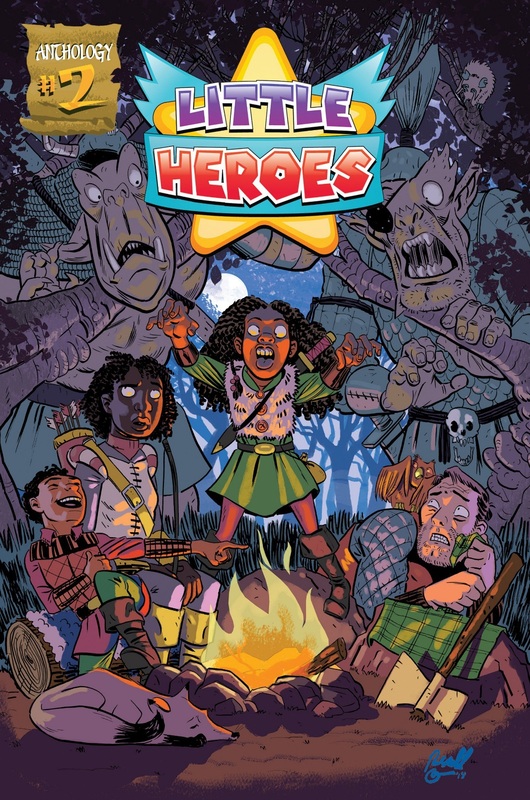 Posted on June 28, 2018 by thelostlighthouse	in Comics, Literature and tagged Alejandro Giraldo, Andy King, Battlecats, comics, comics reviews, indie comics, indie comics review, Julian Gonzalez, Literature, Mark London, Michael Camelo, TLL. This week I’m reviewing the first volume of Battlecats from Mad Cave Studios, which collects the first arc of the series ‘The Hunt for the Dire Beast’ and contains issues #1-5. 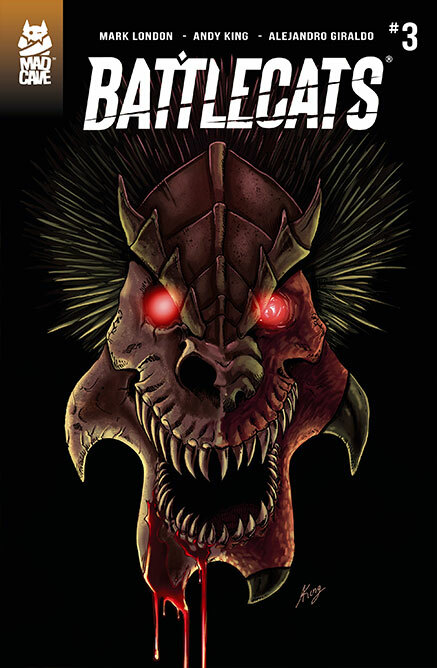 Battlecats was created and written by Mark London, with art on issues #1-4 by Andy King and on issue #5 by Michael Camelo, colours on issues #1-3 by Alejandro Giraldo and on issues #4-5 by Julian Gonzalez, and lettering and book design by Miguel Zapata. 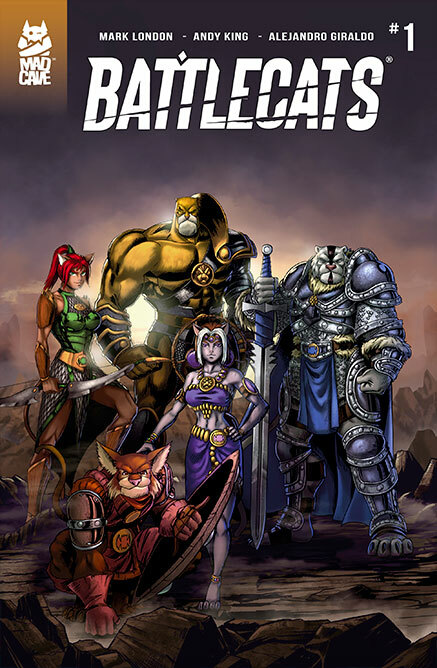 Battlecats takes place in a fantasy world of anthropomorphic animals, mostly cats, where the titular force of highly trained warriors protect the realm of Valderia on the orders of King Eramad III. He has tasked them with slaying the legendary Dire Beast, so the Battlecats travel to the region of La Marque to fight the monster. But along the way they must deal with the rebellious Darkats, the freezing cold, and a target that may not only be too much for them to handle, but also more than it seems. Battlecats is a very compelling read. There is a lot here that is fairly well trodden ground, but London manages to tell the tale in a way that it is fresh and original. There is a real 80s cartoon feel, but with a depth of storytelling that was often missing from those shows. London even takes an issue to backtrack and explain the world after setting up the characters and action, which at that point feels necessary rather than expository, before returning to the action. The result is a world that feels brimming with life, leaving the reader wanting more. The only drawback is that the actual Battlecats aren’t given much room to breathe and feel developed yet, but after 5 issues there is still plenty of scope to do this in future stories. The feeling of 80s cartoon nostalgia continues into the art as well, with big fantasy action, snarling cats and powerful and terrifying monsters all deftly brought to life by King and Camelo. The action is the particular strength is this series in fact, and Giraldo and Gonzalez bring a clarity to the proceedings with their colours, with the variety of garb depending on home nation creating vibrant differences between each Battlecat. Battlecats surprised me with how quickly I was hooked on the story, and it is well worth your time checking out. 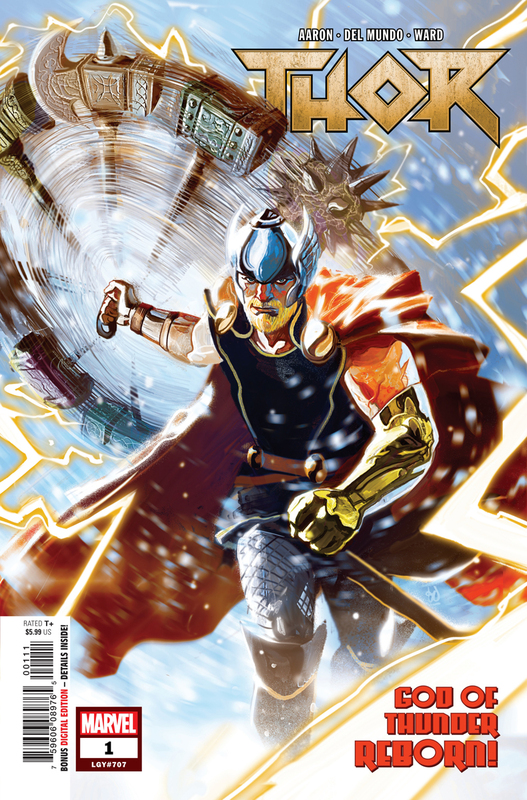 Issue #5 was out this week, with the collection of this first arc coming out next month on July 25th. Posted on June 7, 2018 by thelostlighthouse	in Comics, Literature and tagged art, comic book review, comic books, DC, DC comics, Jim Cheung, Justice League, Literature, Mark Morales, Scott Snyder, superhero comics, superheroes, TLL, Tom Napolitano, Tomeu Morey. The DC Universe has been a busy place for large scale cross-overs. The Dark Knights Metal series in particular bought the ‘dark-multiverse’ into play. Additionally for those who have been following along there have been some very significant moments in the DC Universe which have been leading to this story. There is a hole in the source wall, the edge of the universe which traps any who try to pass it, and something has come through. 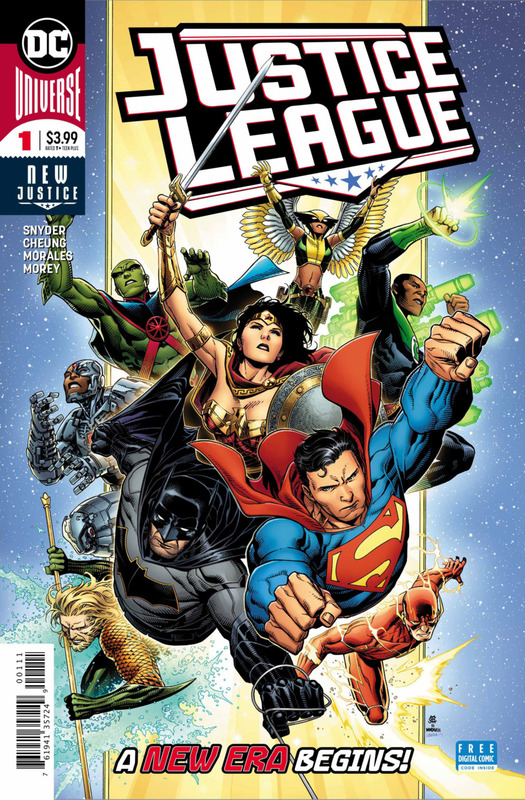 It has rushed through space and time to the present day where the Justice League must respond to it, whilst the likes of Lex Luthor and Vandal Savage have other ideas. You can probably tell by my opening sentence that the stakes have never been higher. Honestly, I couldn’t help but find this point miss the mark a little. While its meant to ramp tension and show how monumental this event is it’s no different than a comic once upon a time saying the universe was at stake. We’ll need to learn more about the threat our heroes face in subsequent issues before I pass judgement on the threat the League face. The art is very detailed and adds a serious, gritty tone to the proceedings. This suits the atmosphere in the comic, of oncoming doom and potential disaster. Cheung and Morales’ work on the lines provide the detail necessary, both in action scenes and in expressions during conversations. Luthor in particular comes off as particularly intimidating when he steals the show. 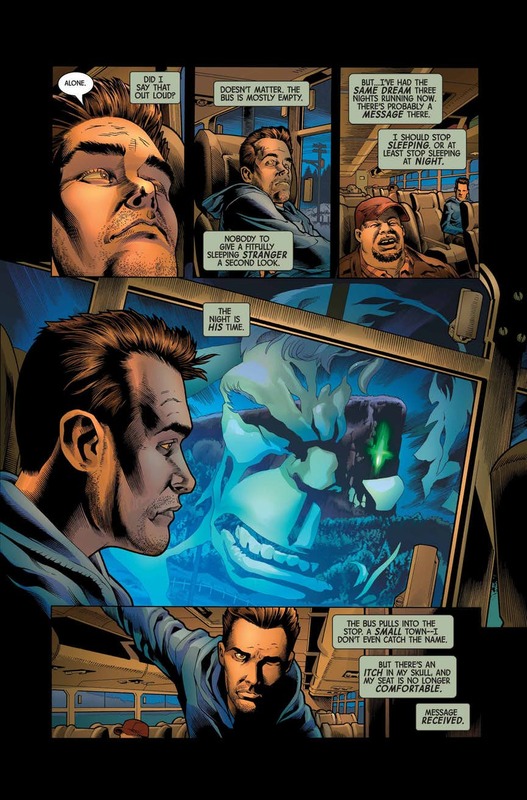 Morey’s colour palette also ties into the mood of the comic and the lettering from Napolitano weaves seamlessly throughout the story without distracting from the artwork. There are one or two issues that this comic urgently needs to address though. One action by the League in particular is going to have pretty catastrophic events, unless its addressed incredibly quickly. This has my interest, the story has some potential flaws and plot holes, although they can be addressed in later issues. Additionally while this is heralded as a ‘new era’ those without a familiarity with a lot of recent DC events won’t find much meaning in some of the key plot points. Otherwise I am most curious to see what happens with the sometimes super villain, sometimes anti-hero Lex Luthor as well as the Justice League lead of the story – the Martian Manhunter who had a particularly engaging arc this issue.